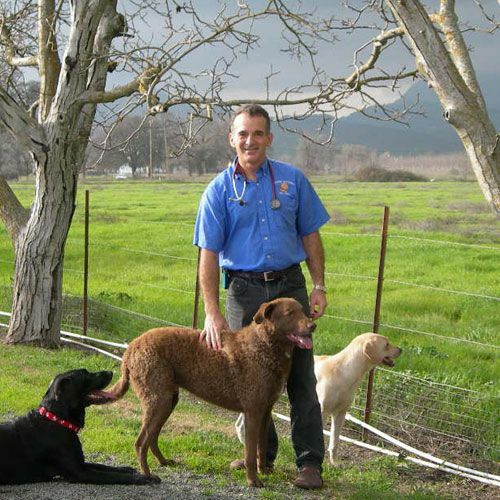 Learn More About Country Veterinary Clinic, Inc.
Country Veterinary Clinic is a full-service veterinary medical facility, located between Yuba City, Sutter and Live Oak, CA. The professional and courteous staff at Country Veterinary Clinic seeks to provide the best possible medical care, surgical care and dental care for their highly-valued patients. We are committed to promoting responsible pet ownership, preventative health care and health-related educational opportunities for our clients. Our country setting lends itself to more relaxed patients and extra space for our lodgers. Country Veterinary Clinic strives to offer excellence in veterinary care to Sutter, Butte and Yuba counties and other surrounding areas. 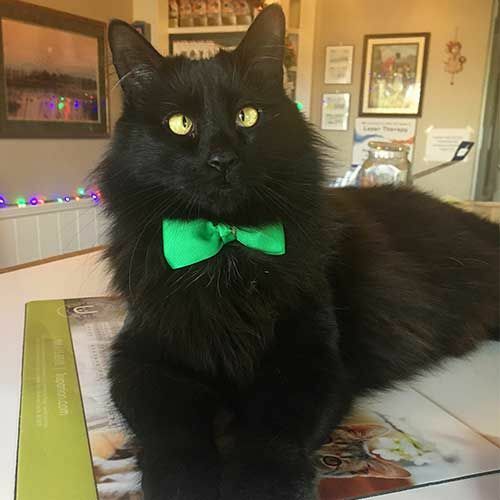 Please take a moment to contact us today, to learn more about our veterinary practice and to find our more information about how Country Veterinary Clinic can serve the needs of you and your cherished pet. Dr. Long started Country Veterinary Clinic in 1976 specializing in equine medicine but found he loved helping all animals (cats, dogs, birds, cows, rabbits, lizards, etc...) and converted to doing everything. When he isn’t working, he enjoys hunting and working with his cows and horses. His family includes his wife Tee and three grown children; Sara, Craig and Erin as well as plenty of grandkids, lots of cats, an Aussie name Tillie and Lab named Ginger. His son Craig is also a Veterinarian and Board Certified Radiologist, to whom we refer some of our more complicated cases for his expert opinion. Tim Krasnansky went to college at UC Davis, where he earned a bachelor’s degree in Biological Sciences. He went to earn a Master’s Degree in Biomedical Communication and Illustration from UC San Francisco, and worked as a freelance biomedical and technical computer graphics artist before attending veterinary school at Auburn University in Alabama, graduating in 2000. He worked at Country Vet from 2001 to 2007, and has returned to the best practice ever in 2017. Tim especially enjoys sporting and working dogs. He lives in Davis with his wife, two daughters, four Labradors, three cats, and a horse. When not at Country Vet, “Dr. K” enjoys hiking, camping, fishing, hunting, canoeing, and kayaking. Saralynn grew up in Sonoma County where she attained her undergraduate degree in Biological Sciences from Sonoma State University. She went on to veterinary school at UC Davis and graduated in 2014. Following graduation, Saralynn returned to her hometown where she practiced large animal medicine for four years. Within her first year of veterinary practice, she also attained her certification in Traditional Chinese Veterinary Medicine from the Chi Institute, specializing in acupuncture. 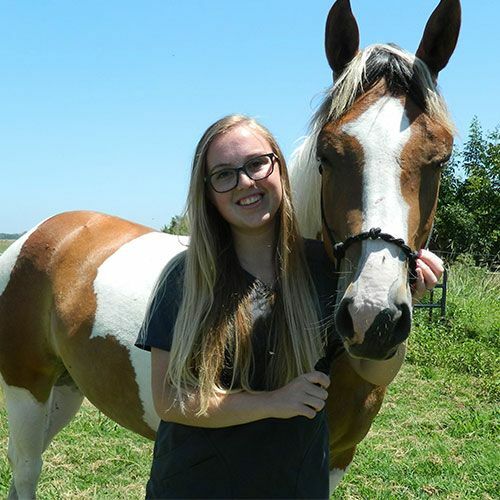 She is excited to have joined Country Vet working part -time while she also provides equine and livestock veterinary services to the surrounding areas. Saralynn lives in Biggs with her boyfriend, and their dog, "Lucy," and cat, "Munchie." 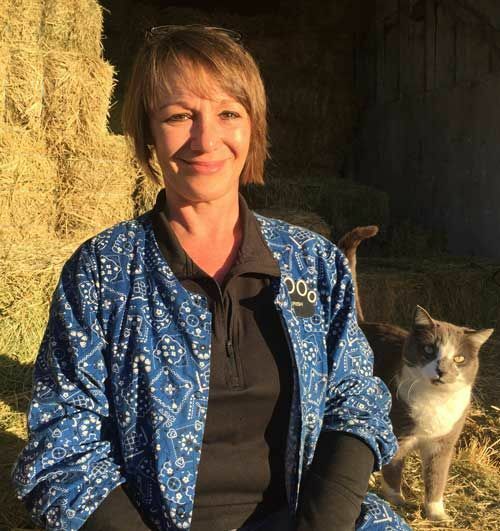 Jenny started working for Country Veterinary Clinic in November 1981 as a technician, kennel, receptionist and although she is now our office manager she still keeps a hand in everything as she enjoys the critters and their people. She earned her Bachelors Degree in Business Administration in 1978 through University of Fresno, then went on to receive her Registered Veterinary Technician license through Yuba College in 1984. She is part of multiple Irish Wolfhound Clubs and enjoys showing her Wolfhounds in lure coursing, agility, obedience and rally. Kevin started working for us in September, 1995 as an unregistered technician assistant and has gone on to be our top registered technician and inventory controller. He graduated from Chico State after earning his Bachelors Degree in 1995 then went on to complete his Masters in Biology in 2000. He lives in Yuba City with his two Labradors Charlie and Sam and his two cats Elliot and Zoey. In his spare time, he enjoys working with his horses, particularly in Halter and Western Pleasure. Kevin lives in Yuba City with his labrador Sam and two cats (Elliot and Zoey). He goes home to Bangor to train his horses and see family. Holley has been with us since 2012 following her graduation from CSU, Long Beach. She has been working as a veterinary assistant for 6 years and will soon be obtaining her registered Veterinary Technician license. Holley loves spending time with her pit bulls Zeus and Cash and traveling with her husband and their 4 dogs. Trish is one of our amazing Veterinary Assistants. She has been with us since 2012 and worked her way up from Kennel Staff to Technician Staff. She has a natural ability to help make our patients, as well as their owners, feel comfortable during their experiences in our clinic. Trish is native to Auburn but is now living in Sutter and in her spare time she enjoys gardening and spending time with her son and their dogs and cats. Kelli has been a valued member of the CVC team since 2010. She has such diverse experience that makes her a helpful and essential part of the Reception Team and the Technician Team. She enjoys spending her spare time with her son and their variety of animals including Louie the Pitbull and Monkey the cat. She is one of the many friendly and smiling faces that you will meet here, and she enjoys greeting all of the animals and their friends that come in. Ashley was born and raised in Los Angeles and moved to the Yuba-Sutter area in 2010 with her family. 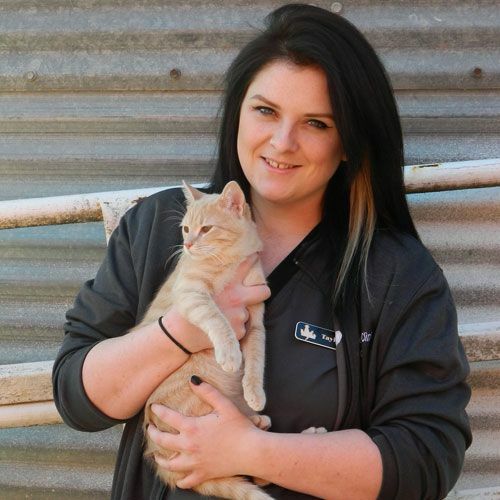 She started working at the Country Vet in 2016; her strong love for animals and her experience in customer service make her a very integral part of our Reception team. Ashley played softball at Yuba College and now gives back to the community by volunteering her time coaching young girls in Little League Softball. She enjoys spending time with her loved ones, and her kitty Whisky! 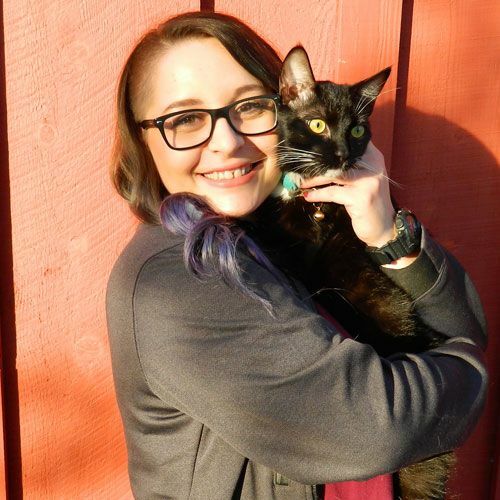 Sam was born and raised in the San Francisco Bay Area, she found her way to Yuba City and started work in the veterinary field in 2016. She enjoys life with her boyfriend Kyle, her pack of Pit Bulls, German Shepherd, 5 cats, variety of reptiles and her horse “Gunner.” Her passion is rescuing and re-homing any pets in need, but focuses on orphaned kittens and bully breeds and hopes to one day open her own animal sanctuary. She loves interacting with you and your pets and can’t wait to meet you! Taylor is our Certified Veterinary Assistant. She was raised locally on her family farm and grew up helping with the harvest of walnuts, rice and cattle. She has always had a strong love for animals, large and small. 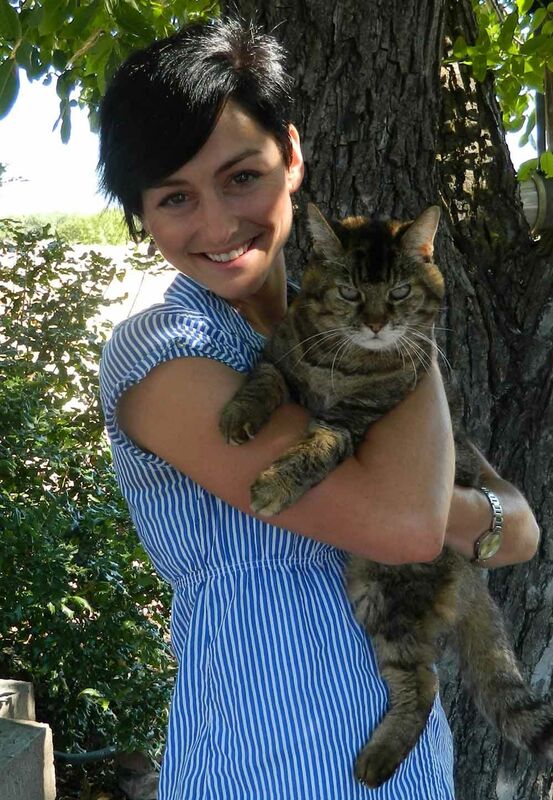 She enjoys spending time with her two daughters and their beloved cats. She has been a valuable member of the CVC team since 2016, and she loves helping you and your furry friends. Cami was born in Raymond Washington but soon after her family made their way to Marysville where she was raised. 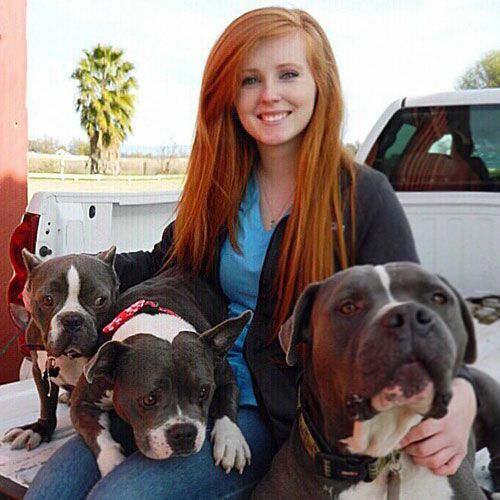 She is currently enrolled in the Yuba College Vet Tech Program, but her goal is to one day be a Veterinarian. Cami has a special touch with the patients and is very good at calming them down, making the owners feel more at ease. She has a very diverse skill set and we utilize her talents in every part of our team. She loves working up front greeting clients with her friendly smile, but she also helps the doctors and techs with the patients. In her spare time she enjoys hiking, swimming and fishing with her Border Collie, Nash. Cami has made a wonderful addition to the country vet team and we are excited for her new path in the veterinary world. Hi, my name is Beans and I am one of the friendly clinic greeters. Me and my sister (from another mister) Rice are usually the first ones to greet our clients and their pets. I love food and will steal it out of your hand if given the chance…so be careful with your snacks when I am around! I’m also a little cross-eyed so I’m sorry if I appear to be staring at you, I’m probably trying to look in the other direction. I came into the clinic as a sick little kitten so they fixed me up and of course I wiggled my way into the hearts of everyone here so they decided to keep me forever…what suckers! I love playing catch with the girls up front, they throw paper up in the air and I catch it with my paws and throw it back to them…so much fun! I also love meeting new people and I can’t wait to introduce myself to you and your furry friends! Hi, I’m Rice but they like to call me Rice-a-Roni! 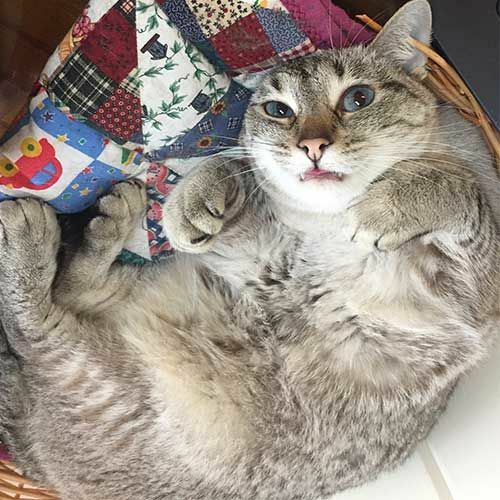 You will likely find me laying in my basket asking for belly rubs when you first walk in. I love my life as one of the clinic mascots; I get constant attention, treats and cuddles. I’m very well known for stealing dog treats out of the cookie jar, but hey I can’t help it…I have to maintain my womanly figure! I also have a lot of extra toes so I can get a really good grip on the cookies. Although I love my life here, I do try to go home with some clients, especially those with nice purses…so be careful leaving your purse open when I’m around because I might get in it. I’m a very good worker, I really enjoy helping the girls up front type the records but they always seem to delete what I write…the nerve of some people, don’t they know I’m only trying to help! Anyway, I have the purr-fect life here with so many servants to feed and pet me whenever I want. MEOWWW.